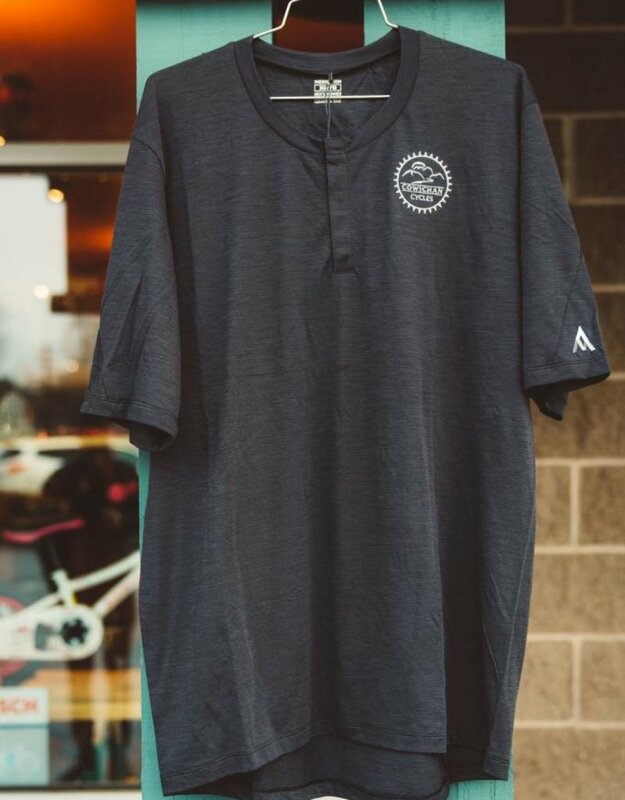 Made with a smooth merino wool fabric, no-feel flat-lock seams, and a smart, snap close collar, the Desperado sports a refined, articulated fit that’s as understated as its everyday après-bike style. 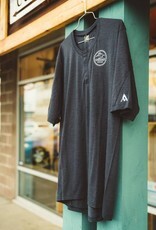 Blending the durability of polyester with the breathability, moisture wicking and anti-smell properties of merino wool, the Desperado excels over multi-day adventures where keeping your kit fresh isn't always easy. 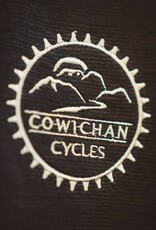 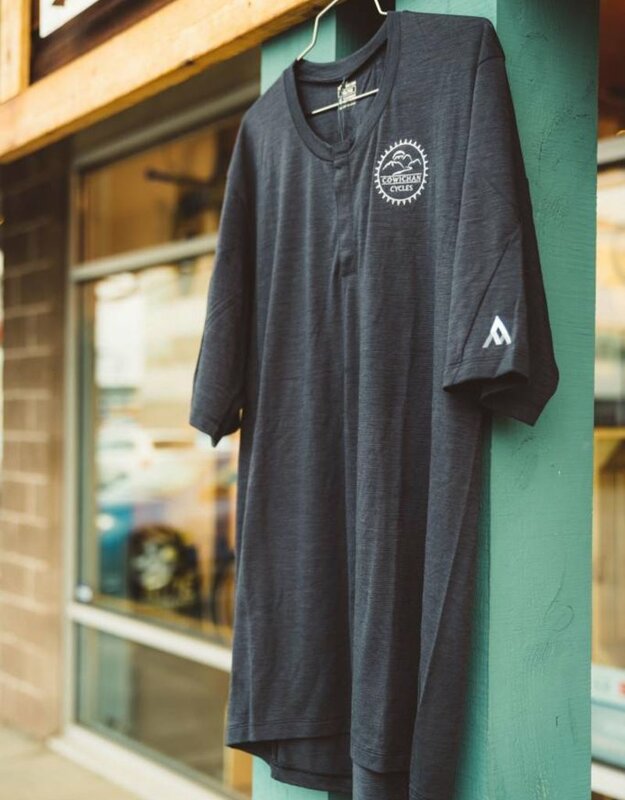 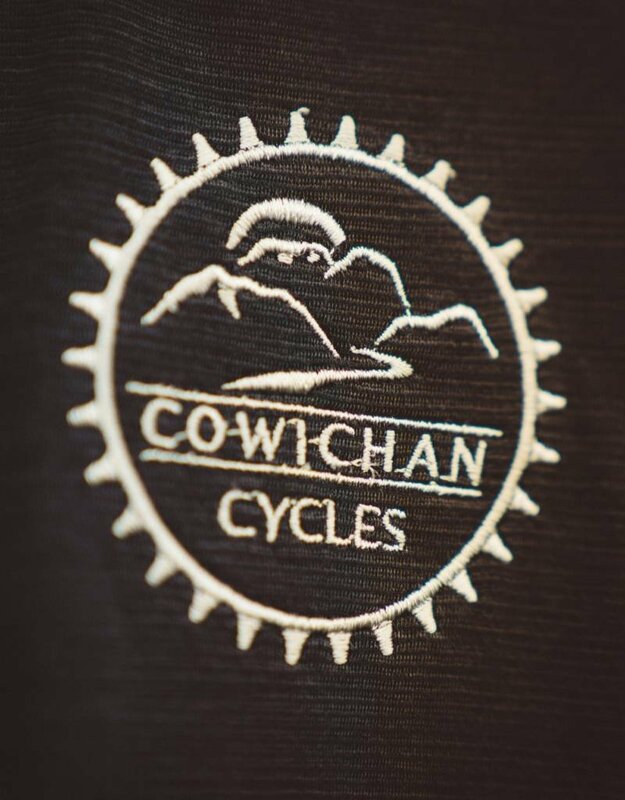 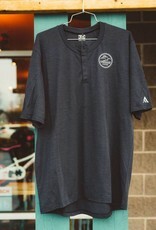 Features an embroidered Cowichan Cycles logo.